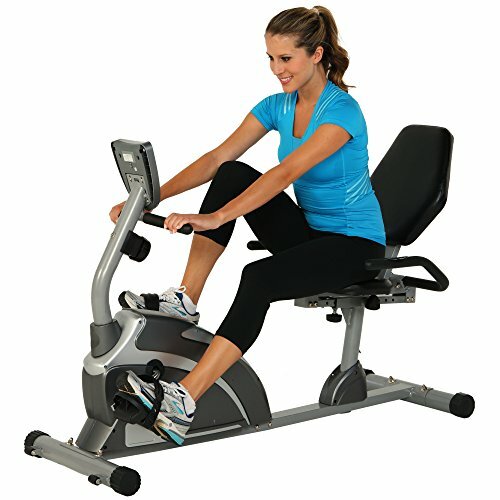 Recumbent exercise bikes are becoming a more common sight in gyms everywhere. These bikes offer a nice, big seat which is a lot more comfortable than a saddle. Having a proper seat also gives great back support and there’s less strain on your leg joints with this bike than with other types of exercise bikes. As with any popular product, all kinds of manufacturers have jumped at the chance for a profit and are cranking out their own versions of a recumbent bike. While some are undoubtedly good, others are absolutely terrible. 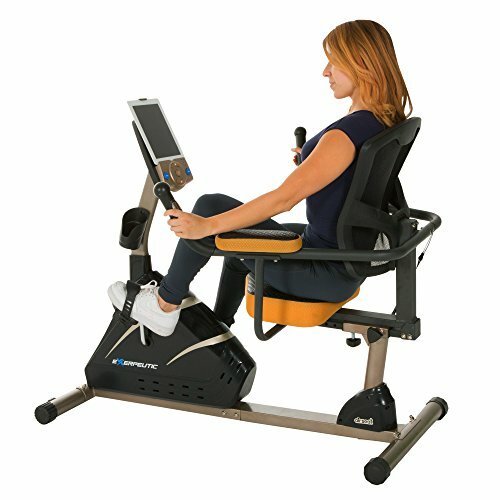 We’ve broken down a few of our top picks for you, starting with our number one, the Exerpeutic 900XL. The best bike for you will depend on your needs. An athlete looking to keep fit while rehabbing an injury will have different needs to a senior citizen. Consider what your needs are and your reasons for using a recumbent bike, and it should be clear which choice would be best for you. If you’re interested in other types of exercise bike, check out our guide to the best upright bike or our guide to the best exercise bike overall. The Exerpeutic 900XL is a high quality bike at a knock-down price. The reason we don’t have a budget pick on this selection is that the 900XL doubles up as the top choice AND the budget choice. It doesn’t have a massive range of extras but it is reliable and has plenty of comfort and basic functionality. Weighing only 63 lbs and having transport wheels attached make it easy to move around. The pedals are also well designed, being a good size and made to be grippy with effective foot straps. This is a very comfortable bike, having a big enough footprint to accommodate users up to 6’3” and down to 5’3”, making it fine for most people. The pedals are modelled on actual bike pedals, having the same rubbery textured design. You can actually replace them with regular pedals if needed, though the standard ones come with good secure straps. The seat is big and has a slightly bucketed design. The back is strong and gives good support. Some users do like to use a thin gel cushion on the seat. 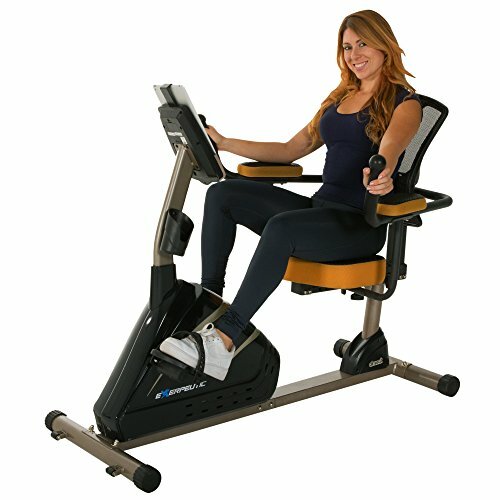 Exerpeutic offer this model with a 3 year warranty on the frame and 90 days on parts. The frame warranty probably won’t be needed because this has a solid design. The parts should also be fine past 90 days, as expected from a big purchase. This frame is also able to support up to 300lbs in weight without being affected. Despite the parts warranty being low, most users go through years of use without ever having problems. The 900XL is one of the cheaper options when looking at recumbent bikes. It definitely qualifies as a budget/entry-level pick. Because there aren’t any real bells and whistles on this model, it’s also easy to use – even for first timers. It’s as straightforward as jumping on, setting a resistance, and pedalling. There is a monitor attached although it’s quite a basic one. It displays the basics such as time, speed and calories burned. 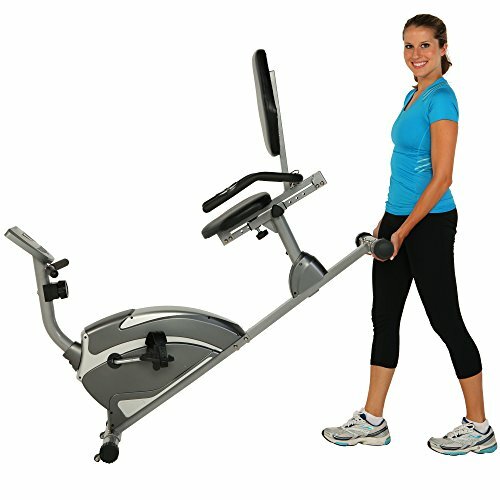 The Exerpeutic 900XL Recumbent Bike uses a magnetic resistance system. This type of system uses a magnetic flywheel which can change resistance with a simple level or dial adjustment. Turning it up or down is smooth and quiet. This bike also stays pretty quiet while pedalling, and you can get a pretty intense workout in without causing much vibration or noise. The stabilizing legs also help for any really intense sessions, but for most people they aren’t even needed. It’s so quiet in operation that you could easily read a book during a calm session. One of the biggest setbacks for this model is the lack of pre-programmed workouts. Without these, you need to know a little about biking sessions if you want to get any real benefit from using the machine. It can also leave you with a lack of variety if you aren’t inspired enough to design different workouts. You can get around this by using video workouts and trying to match the intensity. That is inconvenient for many people, especially on a bike with no tablet holder. The resistance on a 900XL Bike only switches between 8 different settings. The first setting is incredibly easy, while the highest is pretty tough, and the variation in between can be quite a jump. You have to switch resistance manually as well, which isn’t difficult to be honest. The lack of variation here and a basic display might limit how creative you can get with your training. The bike needs to be assembled when it arrives, although some vendors to offer it partly constructed. Generally the bike will take you around 60-90 minutes to assemble from the box. Having a friend help can make things easier, and might also make it less boring. Schwinn are a bike manufacturer with its roots in the late 1800’s, when it originally launched as a bicycle manufacturer. From there they went on to specialize in race bikes and eventually moved into exercise equipment as well. The Schwinn 270 is one of their top models, offering a variety of extras alongside a comfortable ride. It can handle users up to 300lbs in weight and is best for users between 5’2” and 6’ tall. 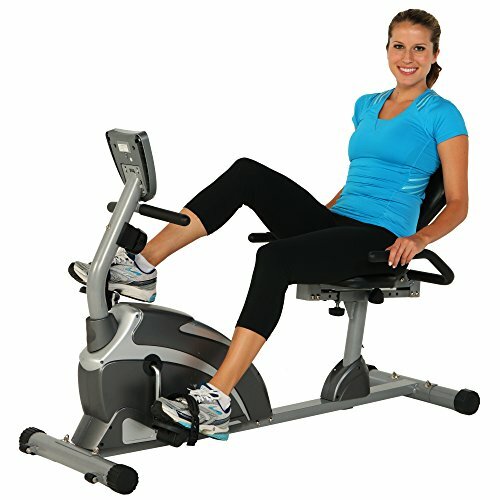 This is a comfortable recumbent bike with a well-supported and well-padded seat. The seat is similar to a chair, giving good lumbar support. The seat also has s ventilated design to help keep you cool during workouts. Pedals are also comfortable to use, as are the handles (with built-in heart rate sensors). The bike comes with a great warranty. It may only cover 90 days for labor, but this should be minor compared to the massive warranties on electrics (1 year), mechanicals (2 years) and frame (10 years). If something goes wrong with minor parts, customer service tends to be quite helpful. There are plenty of people who’ve had minor parts shipped to them, allowing for a quick, free repair. The Schwinn 270 holds up well over time too. Firstly this has 25 resistance levels to switch between, so you get plenty of choices. Then there’s also the 29 workout programs which are included, including heart-rate based workouts which are customized for your fitness level. These are a great way to keep pushing yourself and bring continuous development. 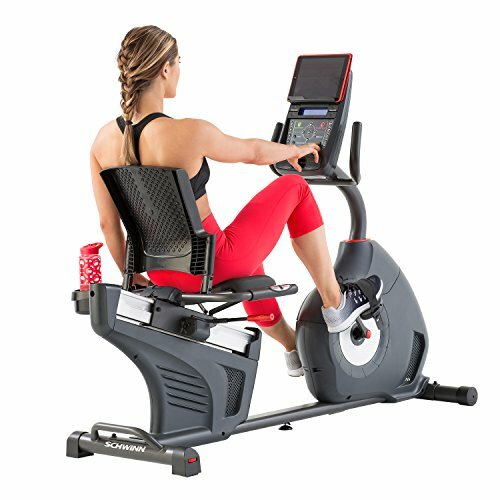 Schwinn’s 270 Recumbent Bike can store certain statistics in the internal memory. There are four profile slots too, so multiple people can track their data. By using the USB connectivity, you can download performance data and keep track of even more statistics. The USB port can also be used as a charger for your e-devices, and there’s also a storage tray and water bottle holder included. The final touch is a 3-speed fan which is built into the bike. It’s a great way to keep cool! Probably the only real drawback of this bike is that it’s quite limited for tall users. Those over 6’ often report it being a little uncomfortable, and 6’ isn’t a gigantic size. Outside of this, there aren’t any real drawbacks. The fact that this limitation hits a large number of people is what knocks it off top spot though. 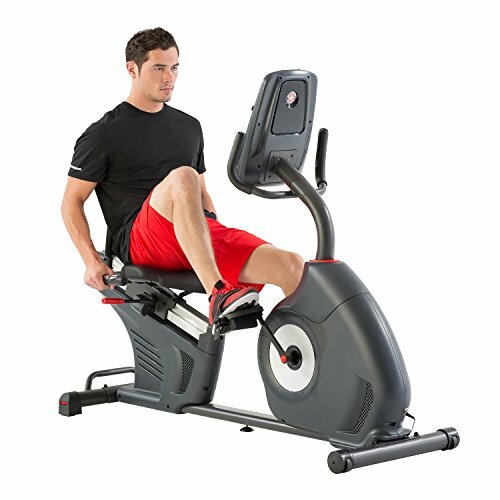 The Exerpeutic 4000 is another great creation from Schwinn. This model comes with more of a focus on comfort at the expense of variety. It is one of the most comfortable recumbents on the market. This bike comes in at the mid-range for the price, and also features Bluetooth connectivity. Able to handle up to 325 lbs of weight, this is a strong and sturdy machine. The seat on this bike is extremely thick and padded. It sits a little higher than most recumbents and also comes with a padded arm-rest on each side. This model is so comfortable you can sit in it for hours without any negative effects. The seat is described as being “air soft”, meaning it’s both thick and ventilated at the same time, allowing enough airflow to help you keep cool and to prevent your seat becoming full of sweat. The Exerpeutic 4000 operates smoothly as a bike. It uses magnetic resistance so any adjustments are smooth and easy to make. There’s hardly any vibration or noise when using the bike, making it ideal for apartments or home use. Like most Exerpeutic bikes, this one is easy to get started with. There are plenty of options to keep you coming back, yet the bike is still very much one you can just plug in and jump on. Building an Exerpeutic 4000 Recumbent Bike takes up to 2 hours to do, and is easier with a friend helping. Regardless of the help though, you won’t be getting through this one quickly. Building it in an hour or less is the kind of task which takes plenty of experience with fitness equipment and a great toolkit. Some users aren’t keen on the look of this machine, especially because it varies from the traditional recumbent bike design. The orange coloring on the seat could clash with your décor and mean the bike stands out quite a lot. All three of these bikes are great. The one which is best for you depends on your personal needs. For most people, the 900XL is the one to go with. Having said that, advanced users or delicate ones would be better served by one of the other bikes.